The upperside is orange with dark spots. 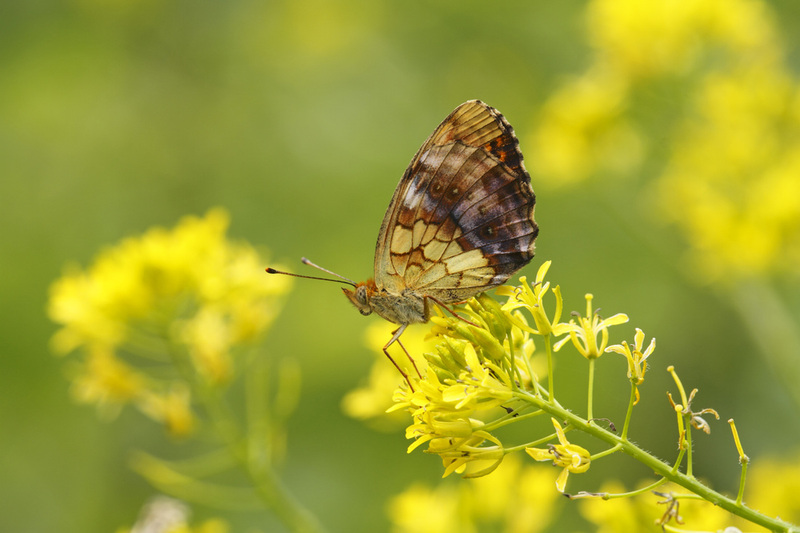 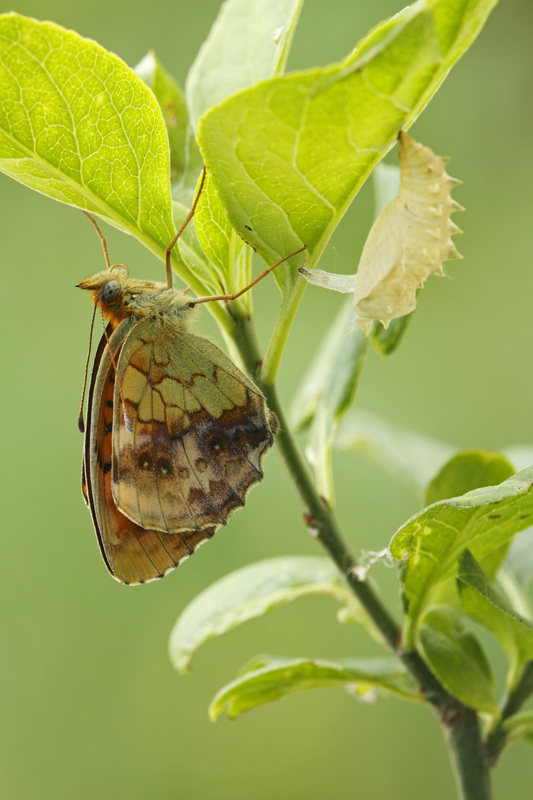 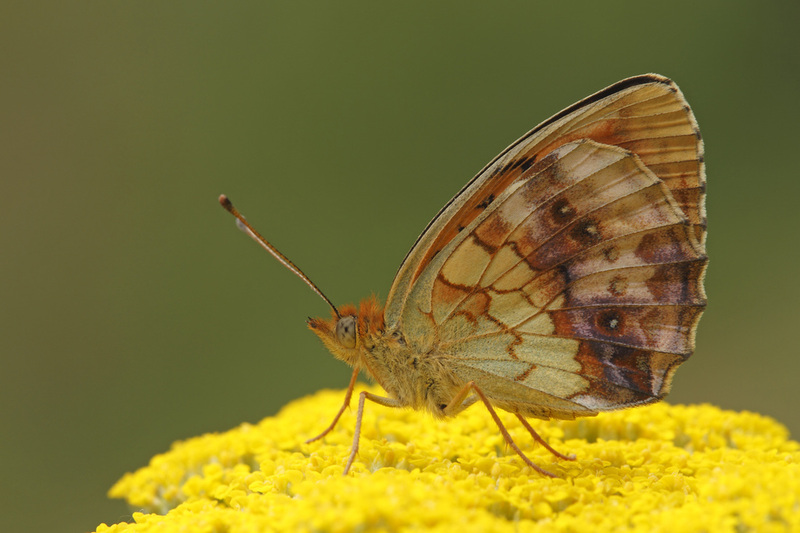 The spots of the post-discal row are very uneven in size, especially on the forewing. 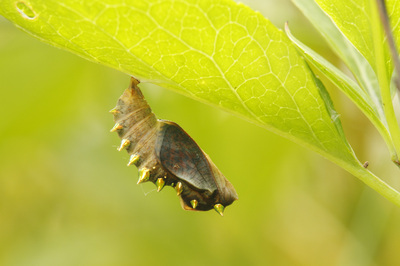 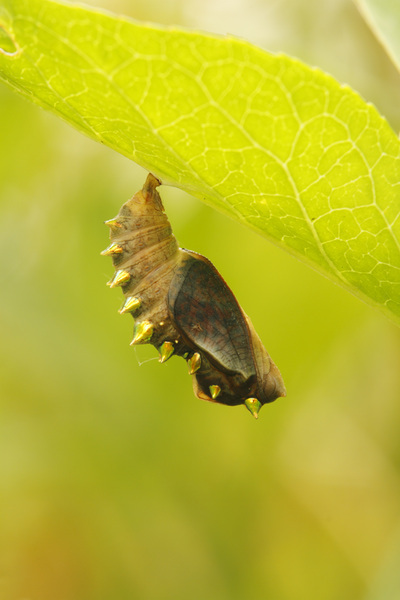 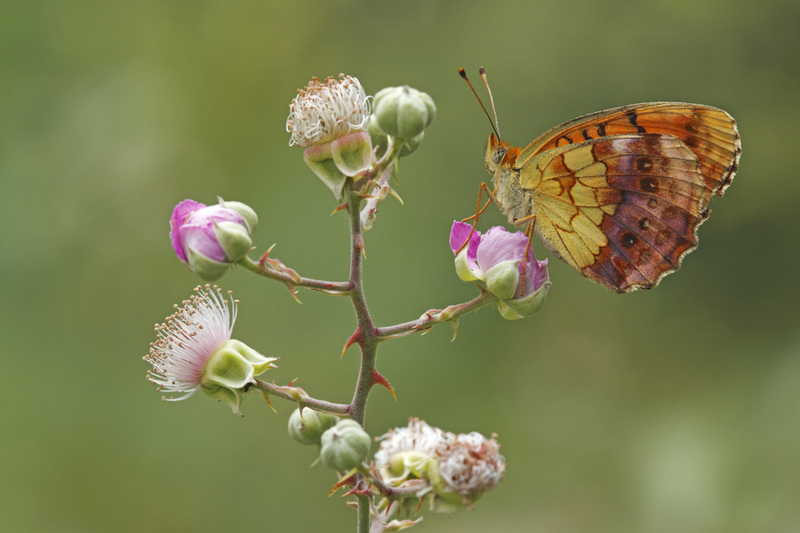 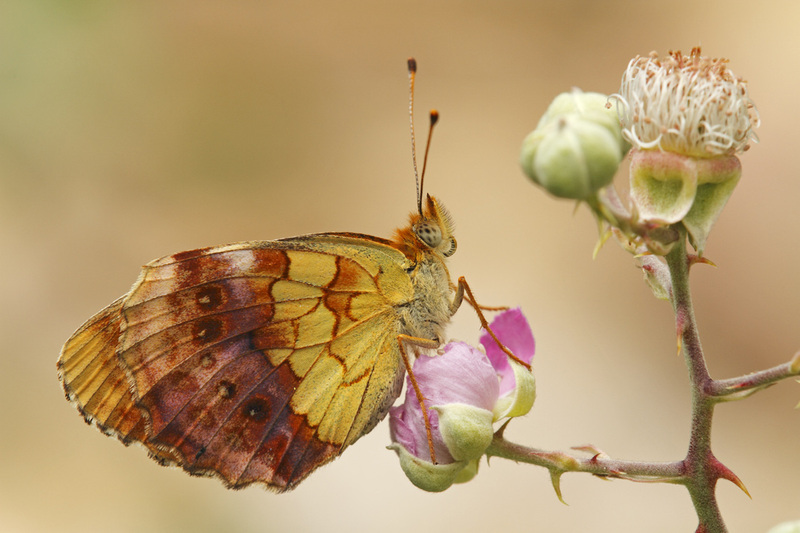 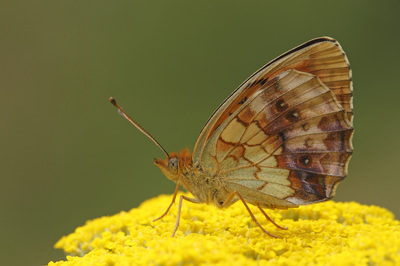 The underside of the forewing resembles the upperside, except that it has a yellowish tip. The underside of the hindwing is very distinctive, with a largely yellow basal half and a strong purple cast in the outer half. 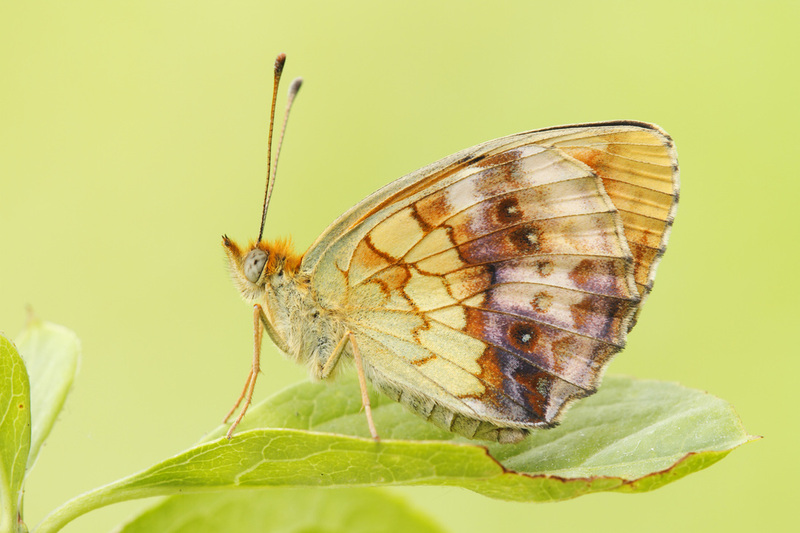 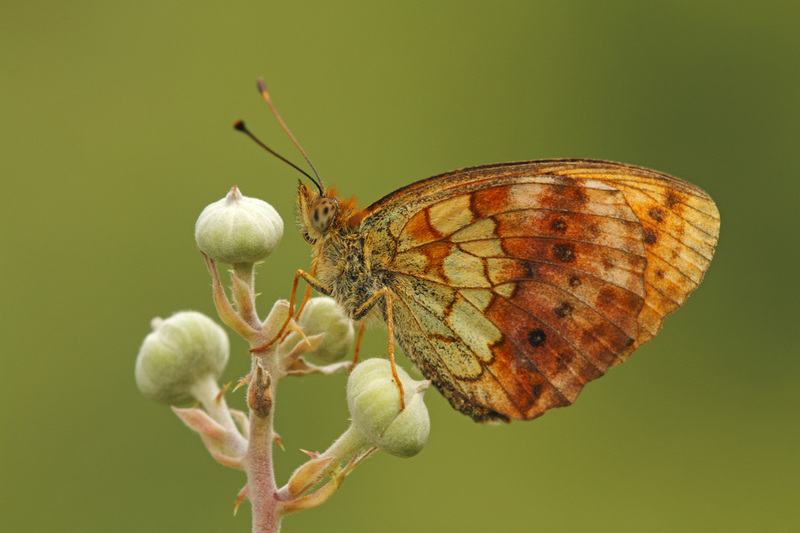 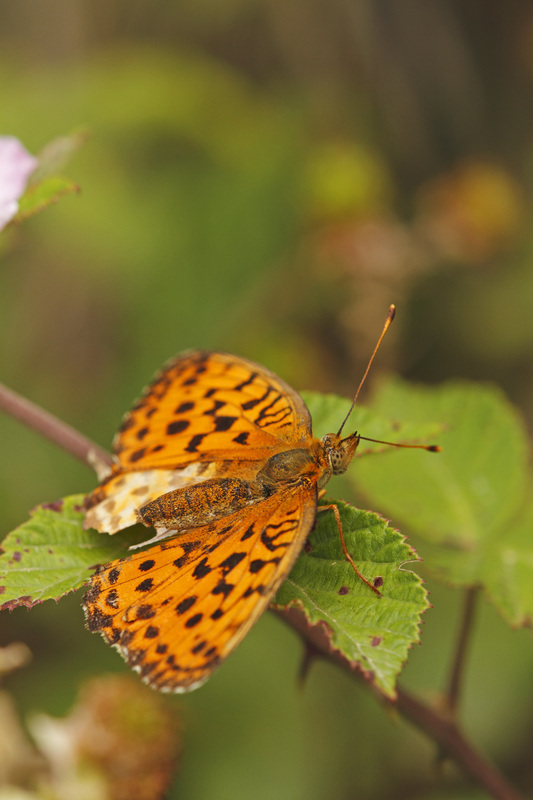 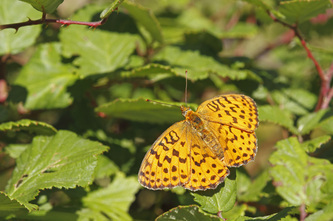 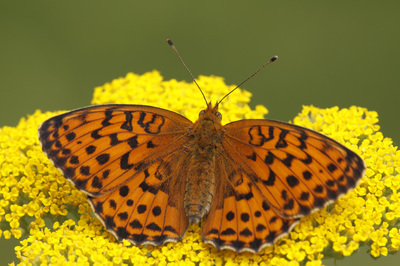 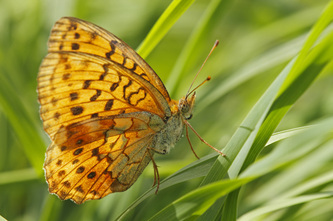 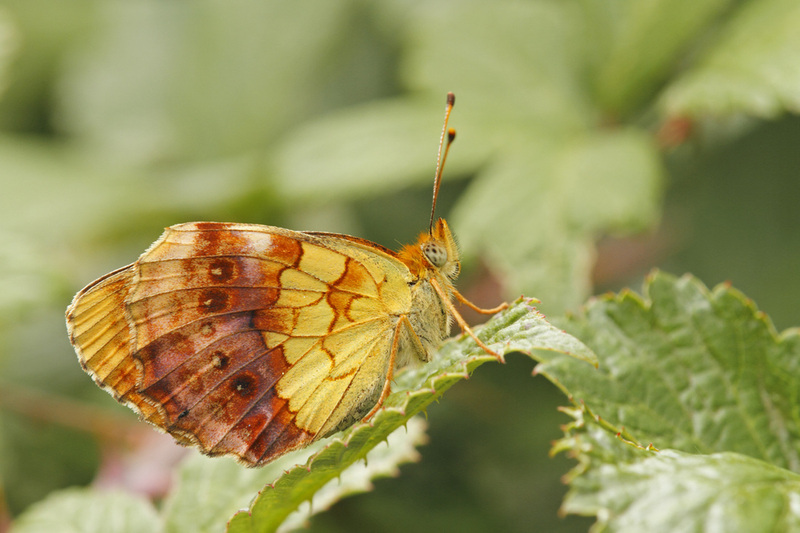 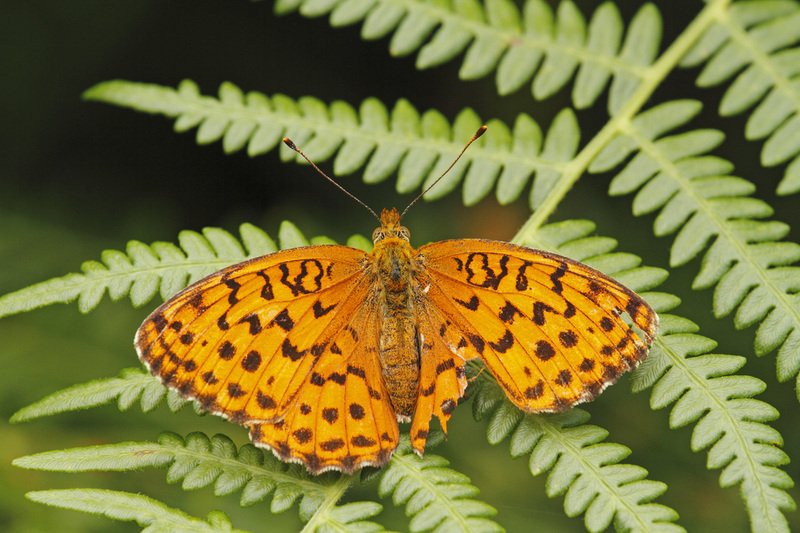 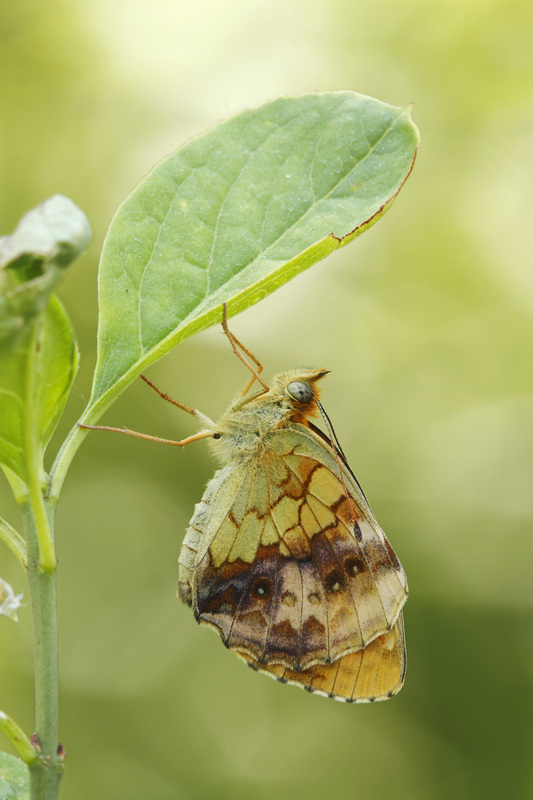 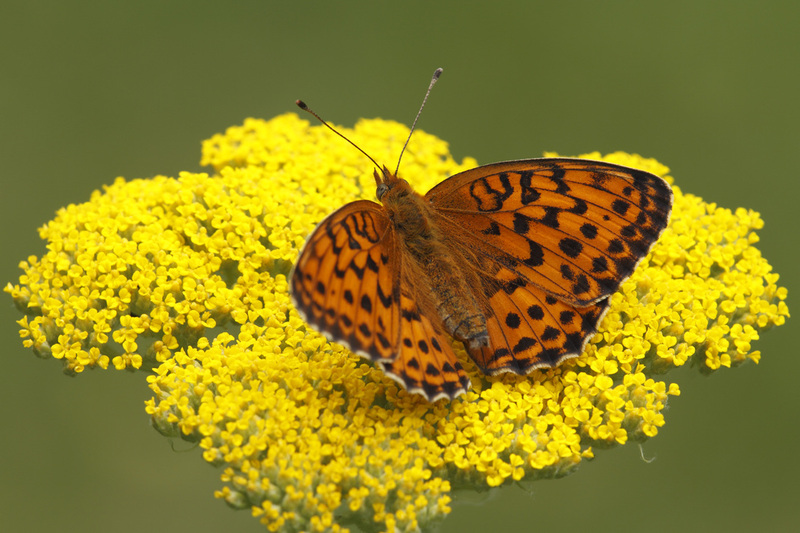 The front edge of the forewing is strongly curved, giging the outstretched butterfly a much more rounded appearance than most other fritillaries. 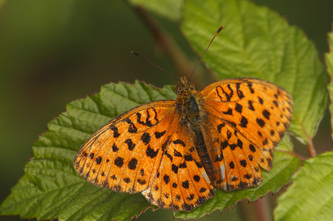 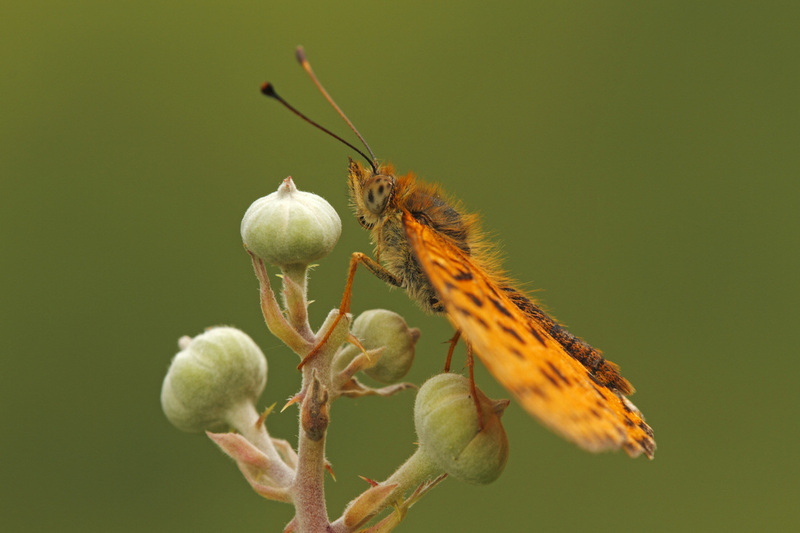 Flight from May to August in open woodland and scrubby habitats. 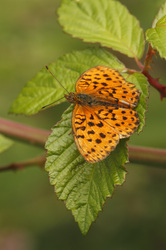 The larval foodplants are Bramble and Raspberry.